The force gauge Centor First is a simple and yet complete digital force gauge which uses efficient technology to simplify force measurements, in tension and compression. A big display shows the force measured in tension or compression in the unit selected by the operator: newtons, kilograms or pounds. The bar graph completes the measurement. 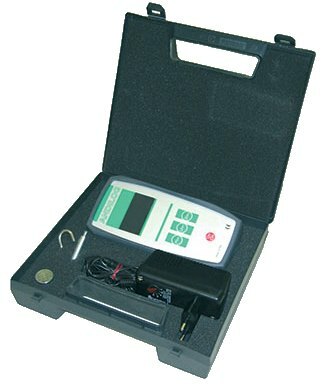 It can be used on a test stand (manual or motorized) or as a manual force gauge. The three keys make it very easy to use this force gauge and access the essential functions: measurement of the peak in tension or compression, tare and changing the measuring units. It is an ideal tool for basic tests during production. Its metal casing, protected by an elastomer shell, gives it exceptional strength. Mini self closing wedge clamp for force up to 500N, fast clamping action on metal, plastic, rubber, wires and many other materials. The TEX555 test stand is ideal for medium force testing when a quick result is required. It makes accurate and repetitive tensile and compression tests for springs, crimps, foam, peel and crush applications. 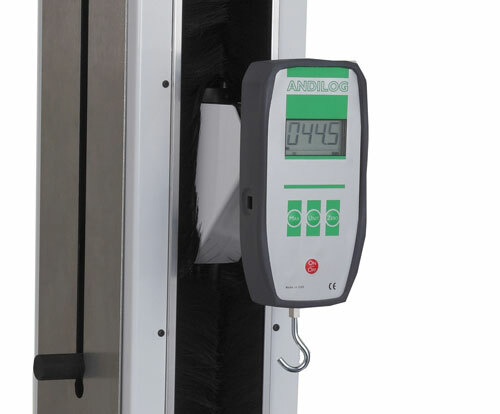 ANDILOG's BAT1000 is a precision handwheel-operated test stand for force measurement. This manual tester is easy to operate and designed to perform force tests in both compression and tension, up to 1000N (200lb). The Stentor FT series of testing machines address the requirements of standardized and routine static testing; and provides the user with Andilog quality at the most affordable price.